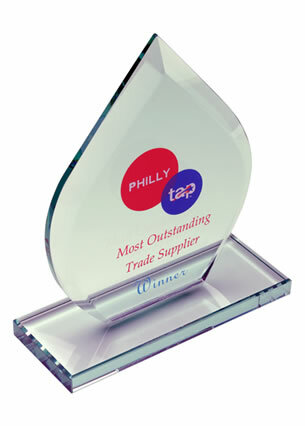 Flame shape flat glass awards, 5.25in x 7.5in x 0.5in. 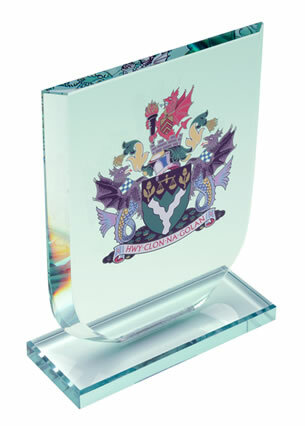 free-standing flat glass awards in attractive flame design and suitable for engraving as corporate recognition or achievement awards. Feel the heat! 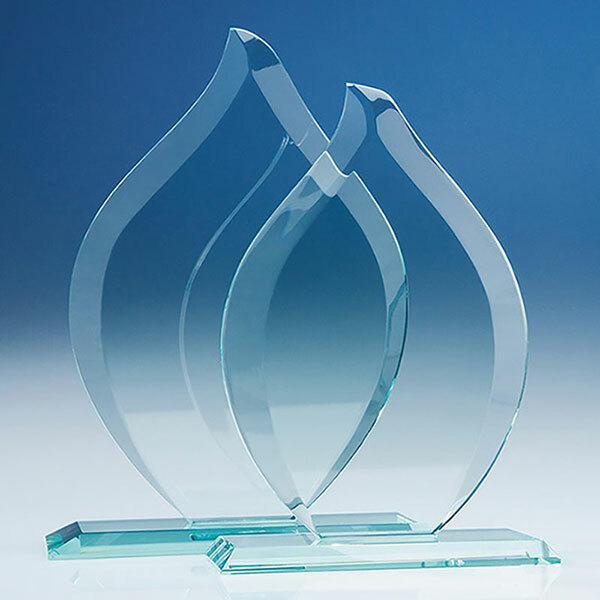 These flame design flat glass awards make sizzling presentation awards and yet are offered at refreshingly cool prices for such quality awards. Featuring a sturdy, rectangular jade glass base with bevelled edges and a beautiful, curved flame shape award with bevelled edges. 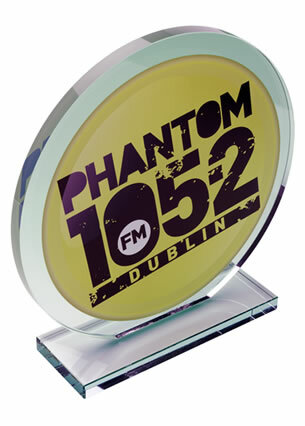 These flame flat glass awards are offered with engraving and colour print options from Crystal Awards Supplier.